As well as modest grants, the Trust can offer churches up to £20,000 in interest-free loans for the repair and improvement of places of worship across the county of Cambridgeshire. The Grants Secretary will be pleased to help with your application for a grant or interest-free loan – just ring or email him. We like to keep a record of churches considering applying for a grant, as it greatly helps us in assessing how many applications are in the pipeline. Even if you just want to download the forms to discuss the matter with your own church council, would you please advise the Grants Secretary that you have done this. Our next Meeting is on 1st May 2019; please make any applications, (by e-mail where possible), a week before this. 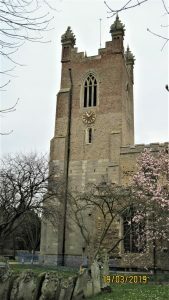 1) All Saints, Cottenham – Grant of £3,000 and Loan of £20,000 towards tower repairs. Work has already started! 2) St Bartholomew, Great Gransden – Grant of £2,750 towards stone and rainwater pipe repairs. 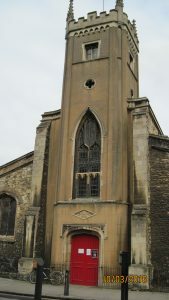 3) St Clements, Cambridge– Grant of £2,750 and Loan of £20,000 towards improved access through the west tower off the street.